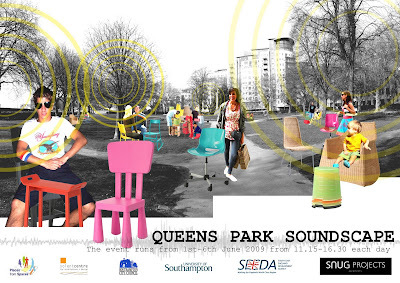 Paul Bulkeley has project managed a temporary transformation of Queens Park Southampton. The project was a joint venture between the University of Southampton and Southampton City Council, funded by SEEDA and the Solent Centre for Architecture and Design, exploring ways of transforming public space. An altered soundscape, derived from an analysis of the site, was introduced to the space and monitored. Initial results suggest the public’s perception of the park were improved. This entry was posted on Thursday, June 18th, 2009 at 1:39 pm and is filed under Charity, Education, Uncategorized. You can follow any responses to this entry through the RSS 2.0 feed. Both comments and pings are currently closed.